Sulvanite: Mineral information, data and localities. The name reflects its sulfur and vanadium contents. According to Cressey et al. 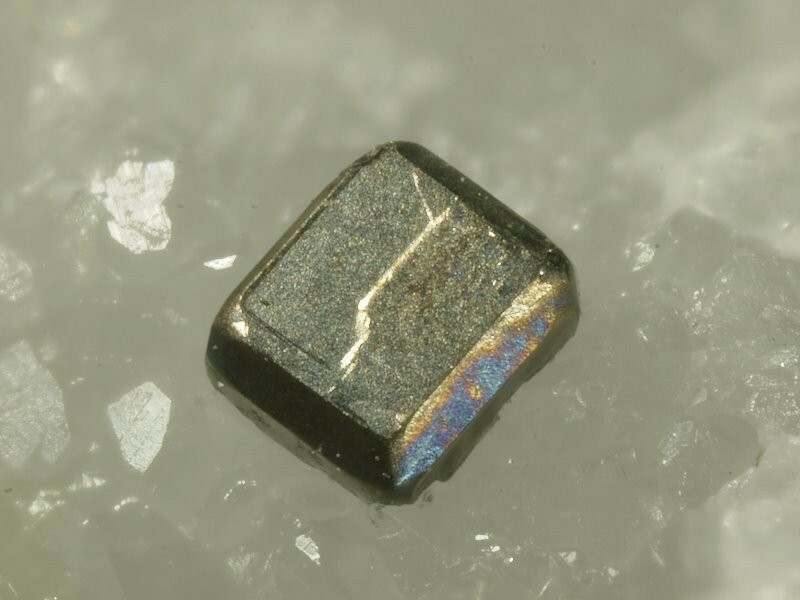 (1993), four metal valencies characterize sulvanite: Cu+, Cu2+, V2+ (! ), and V5+. This could make sulvanite the first known mineral species with divalent vanadium (compare dellagiustaite). Ge-Sn-Sulvanite A variety of sulvanite with significant contents of both germanium (up to 6 wt.-%) and tin (up to 3.6 wt.-%). Calcite 10 photos of Sulvanite associated with Calcite on mindat.org. Tangeite 9 photos of Sulvanite associated with Tangeite on mindat.org. Quartz 8 photos of Sulvanite associated with Quartz on mindat.org. Volborthite 5 photos of Sulvanite associated with Volborthite on mindat.org. Malachite 3 photos of Sulvanite associated with Malachite on mindat.org. Vésigniéite 3 photos of Sulvanite associated with Vésigniéite on mindat.org. Colusite 2 photos of Sulvanite associated with Colusite on mindat.org. Chernykhite 1 photo of Sulvanite associated with Chernykhite on mindat.org. Sphalerite 1 photo of Sulvanite associated with Sphalerite on mindat.org. Trans. Roy. Soc. South Austr. (1900), 74, 69. Goyder (1900) Journal of the Chemical Society: 77: 1094. Schempp and Schaller (1931)American Mineralogist: 16: 557. Palache, Charles, Harry Berman & Clifford Frondel (1944), The System of Mineralogy of James Dwight Dana and Edward Salisbury Dana Yale University 1837-1892, Volume I: Elements, Sulfides, Sulfosalts, Oxides. John Wiley and Sons, Inc., New York. 7th edition, revised and enlarged: 384-385. American Mineralogist (1966): 51: 890-894. Journal of the Chemical Society: 77: 1094-1098. Cressey, G., Henderson, C.M.B. & van der Laan, G. (1993): Use of L-Edge X-ray Absorption Spectroscopy to Characterize Multiple Valence States of 3d Transition Metals; A New Probe for Mineralogical and Geochemical Research. Physics and Chemistry of Minerals: 20(2): 111-119. 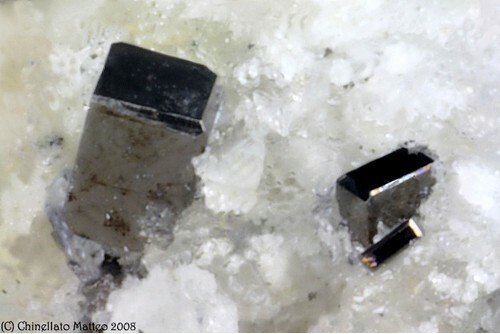 Kouzmanov, K., Moritz, R., von Quadt, A., Chiaradia, M., Peytcheva, I., Fontignie, D., Ramboz, C., and Bogdanov, K. (2009): Mineralium Deposita 44, 611-646.; Cook, N. J., Ciobanu, C. L., & Bogdanov, K. (2002) Trace mineralogy of the Upper Cretaceous banatitic Magmatic and metallogenetic Belt, SE Europe. In 11th Quadrennial IAGOD symposium–Geocongress 2002, Windhoek, Namibia, July 2002. CD Volume of extended abstracts. Singer, D.A., Berger, V.I., and Moring, B.C. (2008): US Geological Survey Open-File Report 2008-1155.; Cook, N. J., Ciobanu, C. L., & Bogdanov, K. (2002) Trace mineralogy of the Upper Cretaceous banatitic Magmatic and metallogenetic Belt, SE Europe. In 11th Quadrennial IAGOD symposium–Geocongress 2002, Windhoek, Namibia, July 2002. CD Volume of extended abstracts. Scott, J. D., & Peatfield, G. R. (1986). Mannardite [Ba.H2O](Ti6V3+2)O16, a new mineral species, and new data on redledgeite. Canadian Mineralogist, 24, 55-66. Gill, S.B., Piercey, S.J. & Layton-Matthews, D. (2016): Mineralogy and metal zoning of the Cambrian Zn-Pb-Cu-Ag-Au Lemarchant volcanogenic massive sulfide (VMS) deposit, Newfoundland. Canadian Mineralogist 54, 1307-1344. Coveney, R.M., Grauch, R.I., and Murowchick, J.B. (1993), In: Reddy, R.G., and Weizenbach, R.N. (eds): The minerals, metals and materials society, Proceedings of the Paul E. Queneau International Symposium "Extractive Metallurgy of Copper, Nickel and Cobalt", 369–375. Wallis, E. (2006): PhD Thesis, Technical University of Berlin, Germany (in German with English abstract), Vol. 1, 136-154. Li Chaoyang (1996), In: Tu Guangzhi (ed. ): "Geochemistry of Strata-Bound Deposits in China", Science Press (Beijing), 508-527. Sergeeva, N. E., Eremin, N. I., & Dergachev, A. L. (2011, February). 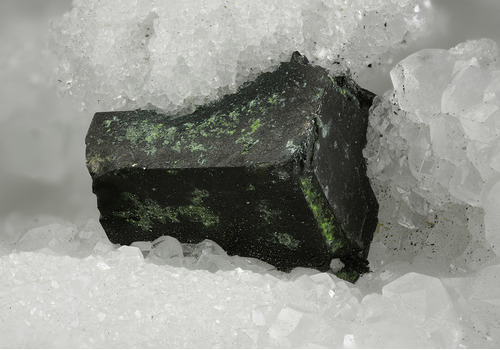 Vanadium mineralization in ore of the Vihanti massive sulfide base-metal deposit, Finland. In Doklady Earth Sciences (Vol. 436, No. 2, pp. 210-212). SP MAIK Nauka/Interperiodica. Economic Geology 102 (2007) 1269-1294. Orlandi, P. (1974) Note di mineralogia toscana. 3.- Solfuri e solfosali delle geodi dei marmi di Carrara. Atti della Società toscana di scienze naturali, Memorie, serie A, 81, 178-184; Orlandi, P., Bracci, G., Dalena, D., Duchi, G., and Vezzalini, G. (1980) I minerali delle geodi della formazione marmifera di Carrara. Atti della Società Toscana di Scienze Naturali, Memorie, serie A, 87, 93-124. Orlandi P., Franzini M., 1994. I minerali del marmo di Carrara. Amilcare Pizzi S.p.A., Milano. ; Orlandi, P. & Criscuolo, A. (2009). Minerali del marmo delle Alpi Apuane. Pacini editore, Pisa, 180 pp. AA. VV., 1996. Collezionare minerali. Hobby & Work. ; Morino A., Passarino G. (2016): Minerali nel marmo di Carrara: solfuri e solfosali. Riv. Mineral. Ital., 40, 1 (1-2016), 22-33. Orlandi, P., Bracci, G., Dalena, D., Duchi, G., and Vezzalini, G. (1980) I minerali delle geodi della formazione marmifera di Carrara. Atti della Società Toscana di Scienze Naturali, Memorie, serie A, 87, 93-124; Orlandi, P., Merlino, S., Duchi, G., and Vezzalini, G. (1981) Colusite: a new occurrence and crystal chemistry. Canadian Mineralogist, 19, 423-427. Bombarda, L., Granai, F., and Orlandi, P. (1999) Le cave di Val Bona e Val Pulita. Rivista Mineralogica Italiana, 23, 2 (2-1999), 100-102; Morino A., Passarino G. (2016): Minerali nel marmo di Carrara: solfuri e solfosali. Riv. Mineral. Ital., 40, 1 (1-2016), 22-33. Pautov L.A., Belakovskii D.I., Baimagambetov B.K. Sulvanite: revision of specimens from museum funds and litherature data, new occurrence in South-Eastern Kirgizia, - Novye dannye o mineralah, Moscow, Nauka, 1989, v.36, p.91-100. Parnell, J., Chen, H., & Klubov, B. (2001). Hot oil in the Russian Arctic: Precipitation of vanadiferous bitumens, Novaya Zemlya. Mineral Deposits at the Beginning of the 21 st Century, Balkema, Lisse, 71-74. Anthony, Bideaux, Bladh, Nichols: "Handbook of Mineralogy", Vol. 1, 1990; Bart Cannon microprobe analysis, July 1991. UGMS Bull 117 Minerals and Mineral Localities of Utah; Dolanski, J. (1974) Sulvanite from Thorpe Hills, Utah. American Mineralogist 59:307-313.